Becoming an interior decorator can be one of the most rewarding and satisfying occupations you can get into. In the first place, if you have decided to look into online interior design programs, then you already know you are going to love the work. Chances are you probably already have done some amateur decorating around the house or for friends and found that you really enjoy doing it. At Decorate-Redecorate, you will find some of the best interior design programs available. There simply is no question that when you learn from these courses, you are learning from the best. 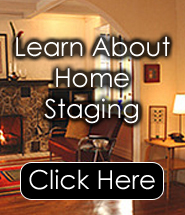 After all, we have decades of experience and have been involved in decorating and home staging since 1975. Thanks to the computer age and the Internet, you no longer have to drag yourself out of the house, find a babysitter for the kids, or worry about if there is enough gas in the car to get you to class. You can take the online interior design programs in the comfort of your own home, working at your own pace. Better still, you do not have to study for months or years to do it. These clear, concise courses can be learned in as little as seven days or less. Does that mean you will only receive minimal information and start out without all of the tools you need? Absolutely not, it simply means that these courses have had all of the fat trimmed from them. What you get is your choice of comprehensive interior design programs with positively no fluff. You do not need to have any previous professional experience, and you will not find yourself having to take any of those expensive seminars that other places offer. How much can you jam into your brain in one seminar? Better to take your time and work at your own pace, with the information always there for you to refer back to or go over again if you need to. It just makes sense to do it this way. Just remember, if you are considering looking into home study interior design programs, then you will definitely want to check out www.decorate-redecorate.com. Don’t take chances taking the skimpy programs offered by the other guys and taught by people with little experience. Learn how to be a decorator with the best. It won’t cost you a fortune and you will be glad you did!